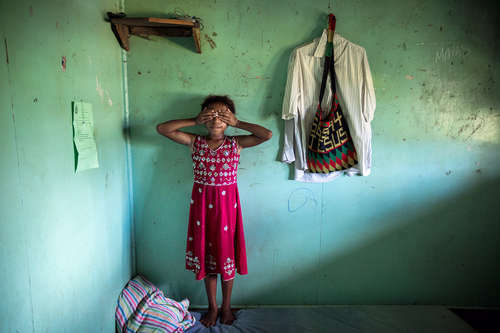 Eight-year-old Hilda (name changed), a child victim of sexual abuse in her family’s house in Kundiawa, Chimbu Province. She was raped by a stranger on the street near her school. Many people watched it, but no one helped her or called the police.